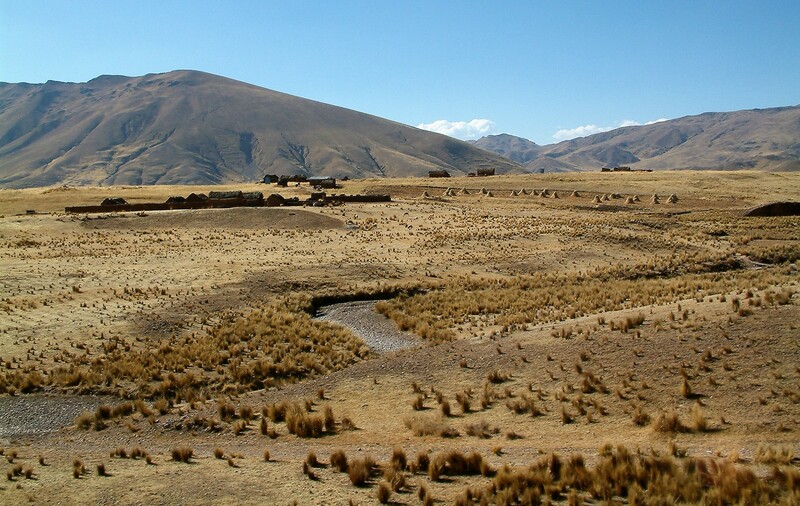 The Altiplano (High Plains) of Peru. 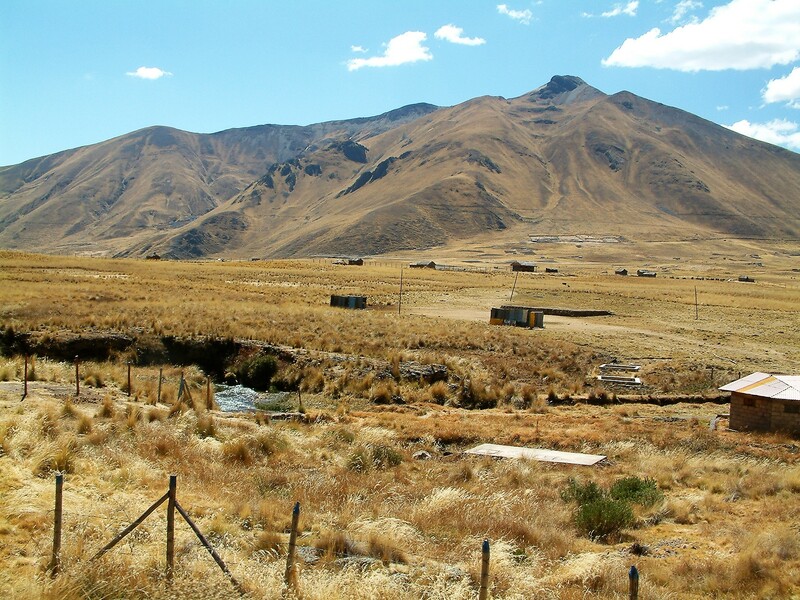 I was completely amazed by the Altiplano. 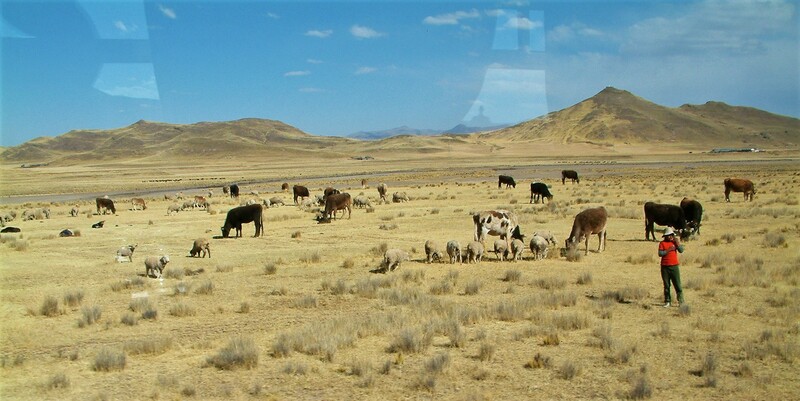 We travelled over it all day in this luxurious old train on our way to Puno and Lake Titicaca. 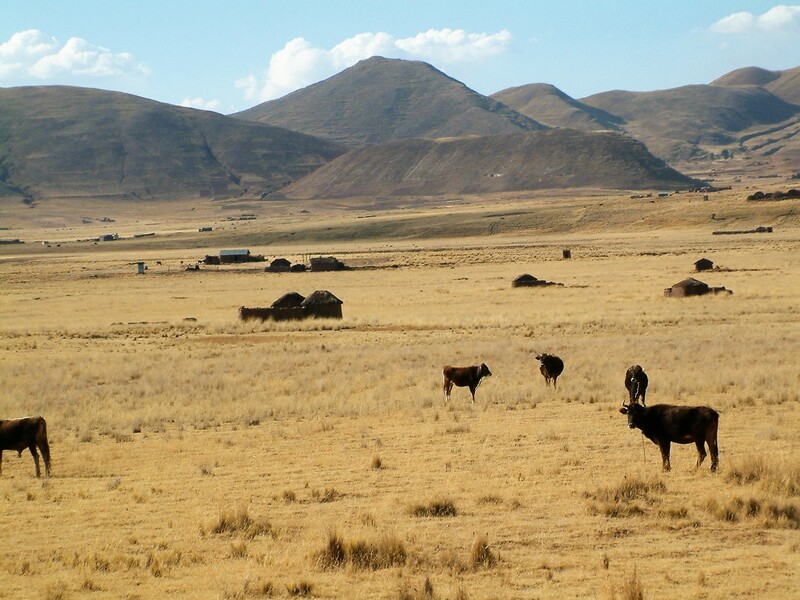 The plains are a huge flat plateau up in the mountains. They are above 14000 feet. 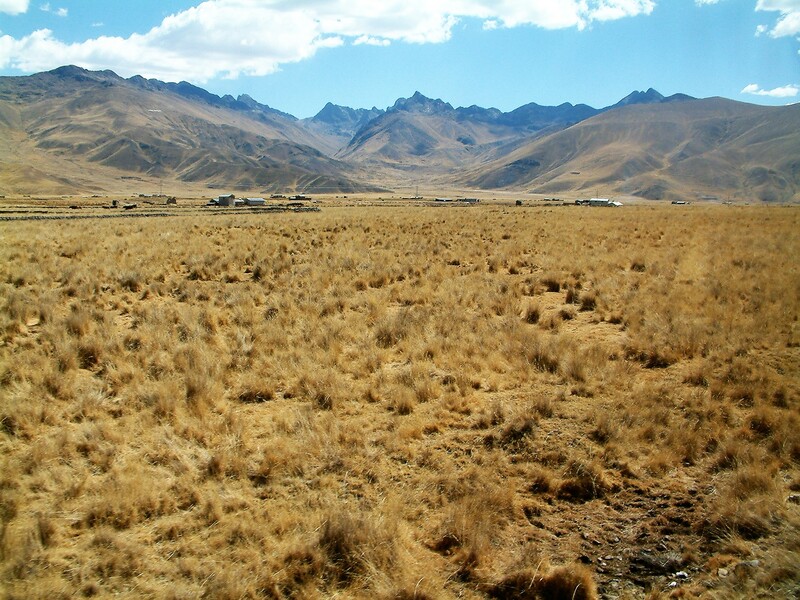 At their highest point at La Raya they are 4,313 m (14,150 ft). Three times the height of our biggest mountain. The air is rarified and it is cold. What amazes me is that anything grows up at this height. Yet the whole place is very fertile and full of all manner of agriculture. 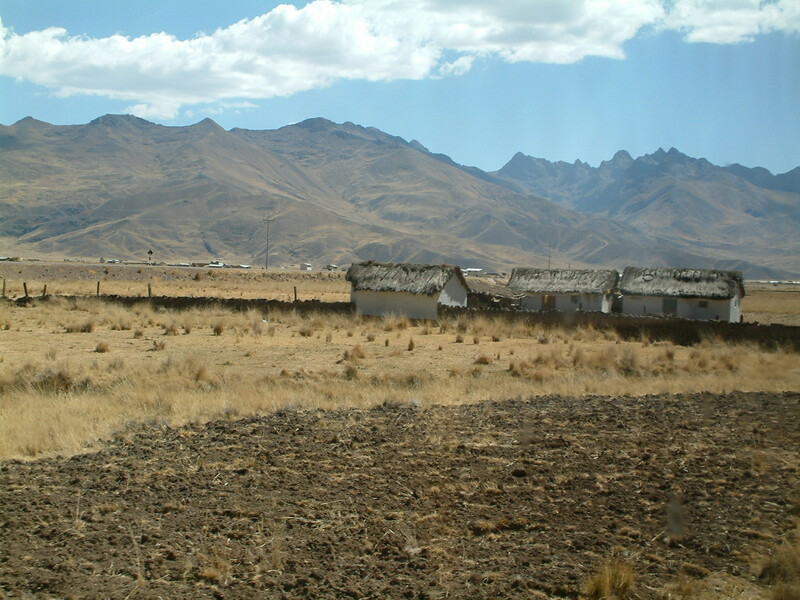 All day long we travelled through this beautiful landscape on our way to Puno.